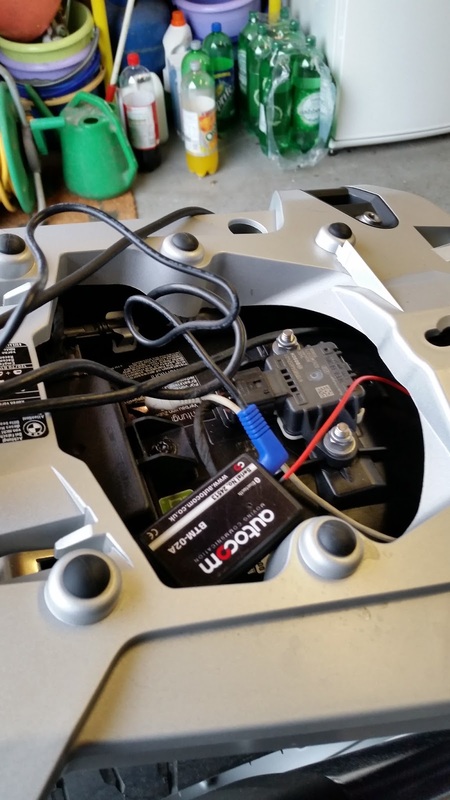 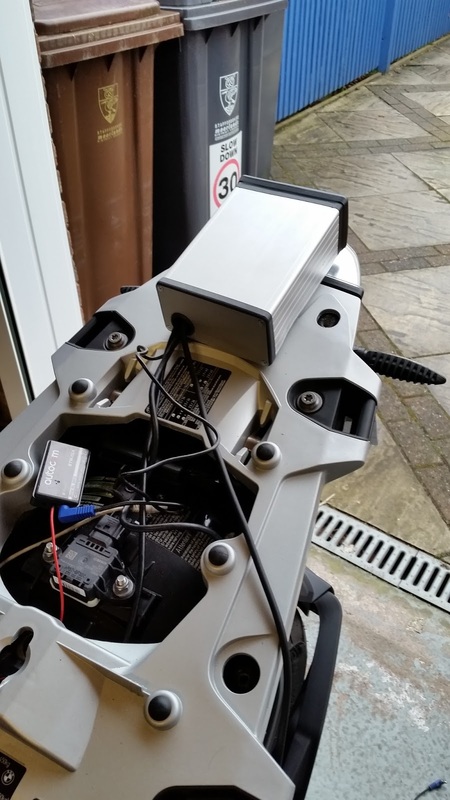 Well it had to happen, so decided to refit my reliable Autocom Bike to Bike Comms system to my BMW R1200GS LC TE. 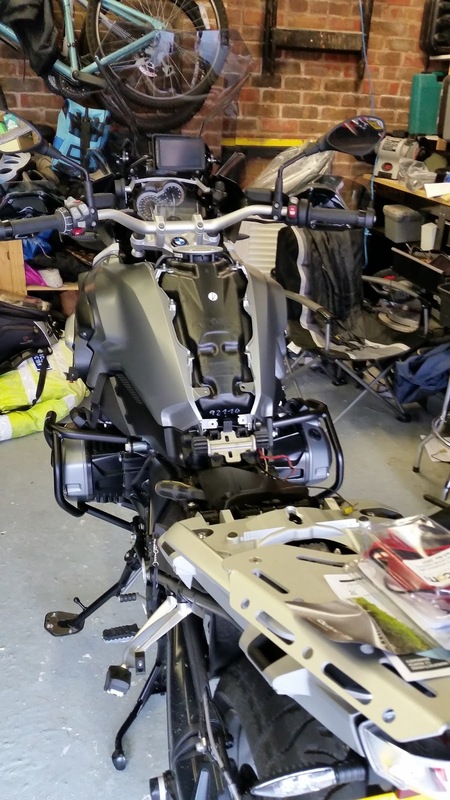 Only problem - The BMW - No room to fit anything anywhere....... 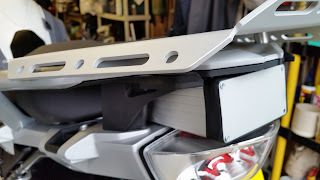 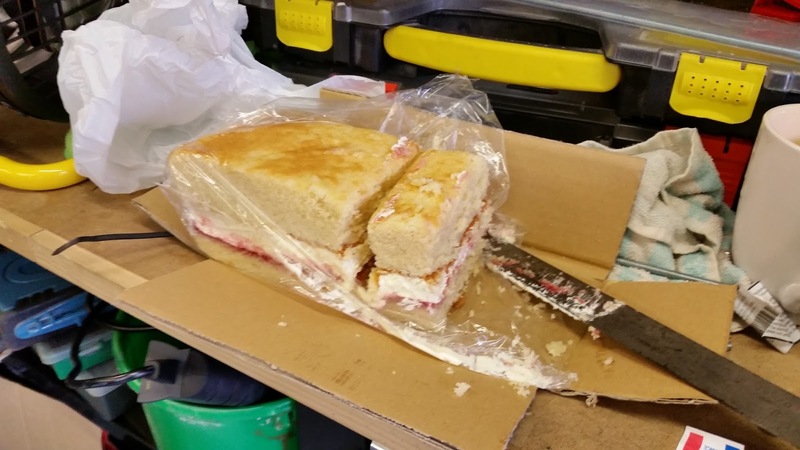 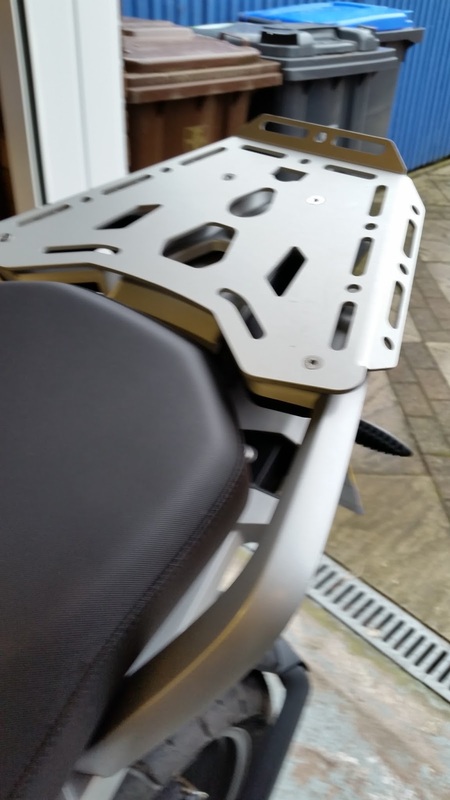 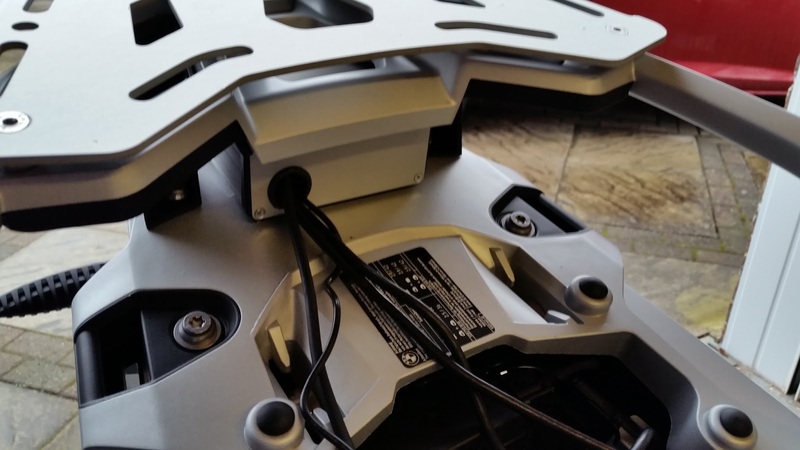 So a friend of mine came up with this great idea of fitting a small aluminium box under the rear rack......... 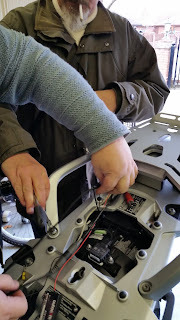 It took a bit of fiddling, starting with finding a power source..... 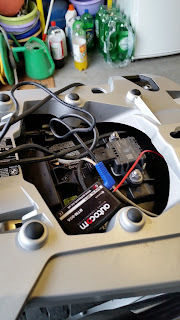 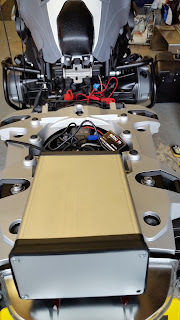 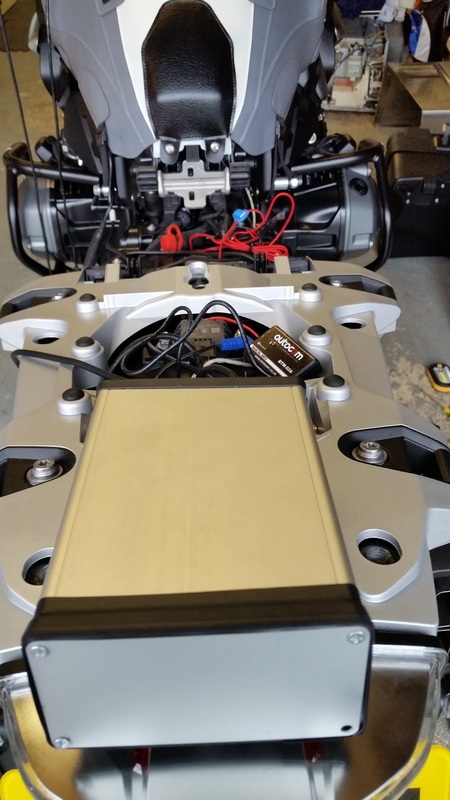 This time an Autocom filter, connected direct to the battery and then a feed from the Canbus to activate the system. 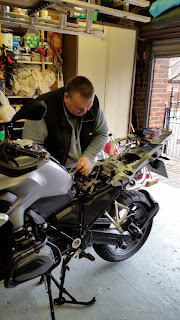 Rear Rack removed and Andy in background just making the aluminium box a bit smaller. Advancedbiker goes for a BREW ! 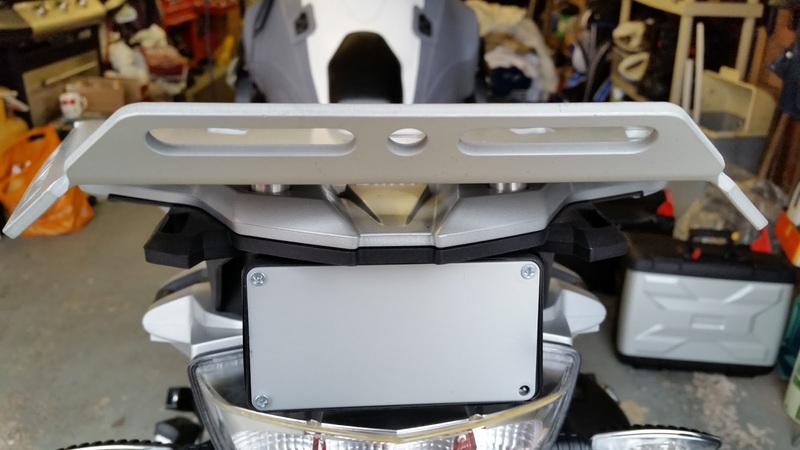 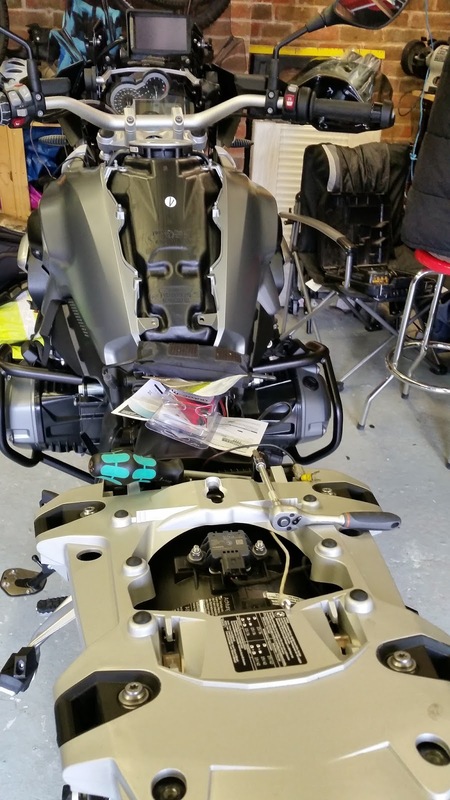 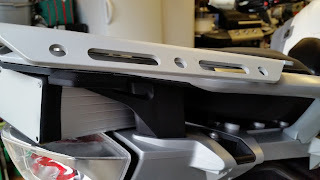 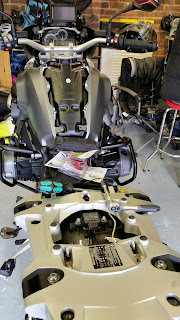 2015 BMW R1200GS LC TE - All accessories Fitted !!!!! I think I have put enough on, perhaps Radiator guards next !